It’s been a long and winding road for Steve Wilkinson. An extended tenure with Portland staples, Gravelpit (after a stint as the drummer for Thrillbilly in the early ‘90s), enabled Steve to eventually hone his chops as a vocalist and ultimately to sharpen his skills as a songwriter. When Gravelpit was forced to shut down operations in 1999, after receiving the old cease and desist from a Boston band called “The Gravel Pit,” the band members went their separate ways, although former Gravelpit guitarist Grant Cumpston joined with Wilkinson to form Mission 5 in 2000. But Cumpston ended up leaving the new band. After other personnel changes, Steve has settled in with a great band. Bassist Roland Klasen (who was the mastermind behind the short-lived Bombshack) adds fluid, sinewy lines, while guitarist Craig Stahr provides robust, orchestral accompaniment to Wilkinson’s rhythm guitar. Stahr also plays with a group called the Quags, whose drummer, John Beyer, was also an early member of Mission 5, and who played for this recording. Beyer was replaced by Rick Barry (Haymaker) who joined the band to permanently fill the drum slot. Beyer adds solid support, linking up well with Klasen. What is immediately noticeable among the ten songs presented here is that this band is not Gravelpit. This band is a definite progression forward (while sounding a bit like Gravelpit and even Thrillbilly at times) from its predecessor, exhibiting distinct refinement, both in the conception and the presentation of the material. Wilkinson’s voice has matured- replacing much of his former bluster with a fuller, richer delivery. And his song writing is more judicious, more focused; less emotionally raw. The album kicks off with “North Carolina,” a jangly number that plays upon a two-chord, E-G progression in the verses. Steve’s impassioned vocal phrasing is reminiscent of Kurt Cobain’s “Polly” from Nirvana’s Nevermind. Meanwhile, Stahr’s incendiary guitar solo calls to mind David Lindley in its sonic density and intensity. Amazingly, Wilkinson really doesn’t sound like anyone else, singing with a voice and perspective that is entirely all his own. A great start. A familiar A-E-B chord progression propels the hard driving “Wreck On,” fueled by Beyer’s spot-on drums and Stahr’s fiery guitar fills and scorching solo. Jeremy Wilson (who co-wrote the song with Steve) joins with Wilkinson to create somewhat off-handed vocals, lending a sort of beach party ambience to the song. A strong chorus, based on a C-Eflat-G sequence, sticks to the ribs on “Summertime,” (co-written with Cumpston) redeeming a number that bogs down in the repetitive G-Bmin-Emin- C of the verses. The anthemic chorus of the hymn-like “Already Gone,” buoyed by Steve’s soulful, gritty vocal, lodges permanently in the memory, recalling a somewhat similar song by Bad Company in the early ‘70s. Stahr’s volume pedal technique creates a moaning cello tone in the intro, twirling in an intricate gyre in the powerful chorus. “The Other Side” is a Stonesy sort of number, with Wilkinson doing a fine update of the old Jagger vocal coarseness. Beyer rocks a lot harder than Charlie Watts ever did, though. The racing heartbeat of his kick drum reverberates through the entire track. The epic, “Mr. Plecostomus” a song about the catfish living in Wilkinson’s aquarium, shimmers, with a watery production (somewhat similar to that of Flaming Lips), which incorporates many guitars, keyboards (played by Steve) and angelic background vocals by Sara Beechwood (Saddlesoap) and thick layers of sound (carefully engineered by John Cluff). The song would be appropriate coming from Klaatu in the ’70s or Robin Hitchcock in the ‘80s, and closely resembling the Monkees’ experimental piece “The Porpoise Song,” from their 1968 film (which co-starred Frank Zappa, Dennis Hopper and Jack Nicholson) Head. Guest player Rich Landar (Jesus Presley, King Black Acid) adds piano and string arpeggios (vaguely similar to the key lines in the Verve’s “Bittersweet Symphony”) behind Stahr’s scorching guitar interjections on “Intoxicated,” a song about being “caught between the vices of everyday.” Stahr’s stellar guitar solo is the highpoint of the short song. “Baby” is a short and simple, good-natured love song: a good B-Side for any potential singles. Stahr’s chortling intro adds a George Harrison quality to “I Know You Know.” His dynamic single-string run, coupled with Wilkinson’s muscular vocals, elevate the powerful bridge to a higher emotional plateau. “Get Outta Line” is a four-on-the-floor, pedal-to-the-metal, straight-ahead, balls-out rocker, buoyed by Wilkinson’s snarling vocal. 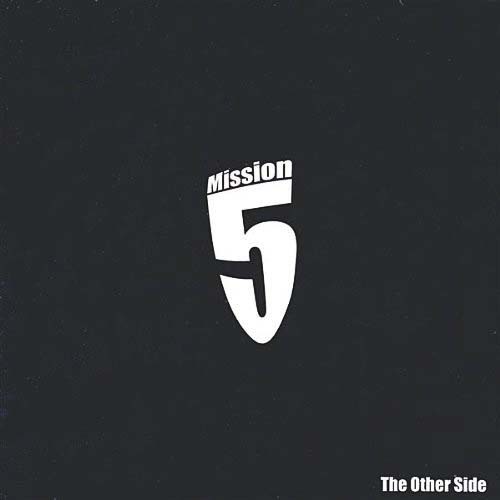 The long road has led Steve Wilkinson to this fine album with Mission 5. With a great band behind him and ten well-crafted songs, imaginatively arranged, without a lot of big production frou-frou, Wilkinson displays a ruggedly brawny rock singing voice that is all his own- resembling no one else in particular. His songwriting has improved dramatically since his Gravelpit days. Nearly all the songs here are memorable upon the second listening, with hooks that sound instantly familiar, without being overtly imitative. This is the sort of stuff that deserves much wider exposure, because of its easy musical accessibility. If this album is not a home-run, it’s a stand up triple, without a doubt. Higher Ground have been distinguished members of the local acoustic music community for over a decade, playing a generally energetic brand of folk/country & western/bluegrass/Americana/blues with occasional forays into world music and even funk stylizations. Those bases are all covered (with even a jazz-tinged sax solo on one number) in this their sixth album. Leader and only remaining founding member, multi-instrumentalist Alan Glickenhaus has assembled perhaps his most talented ensemble, with the four members backing him through ten original numbers and two fairly obscure covers. With the help of Avery Anderson (apparently no longer with the band), who plays fiddle and guitar and sax in a few places, Glickenhaus swaps vocal duties with newcomer Matt Demarinis (who also plays harmonica), to create a lot of musical variety. Adding electric and acoustic, dobro and pedal steel guitars, mandolin and banjo, Alan is distinctly Jerry Garcia-like in his versatility, and in what he brings to the table for this band. In fact, this band is so versatile that their record sounds like a compilation. Thus, it is true, that there is no “Higher Ground sound.” They play whatever kind of music they happen to be playing on any particular song. Two trends do seem to run as undercurrents with Glickenhaus and his cohorts, for this outing: the Grateful Dead, in all its manifold and variform incarnations, a longtime Glickenhaus influence; and a sort of acoustic version of late ‘70s southern boogie bands, such as the Outlaws, which seems to be attributable, in part at least, to Demarinis. But from there, the mixtures and admixtures permute exponentially. 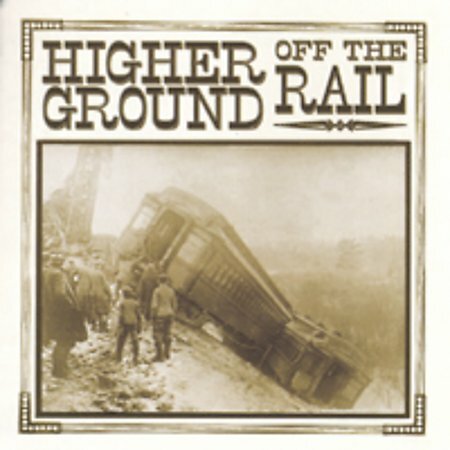 The album kicks off with the rollicking country-swing barndance “Buck And Edna.” With a vocal melody (sung by Alan) that is essentially a compressed rendition of “San Antonio Rose,” this tune contains Glickenhaus’ sterling acoustic guitar runs and stuttering banjo, along with an occasional pedal steel turn thrown in, coupled with Anderson’s down home fiddle phrases and Demarinis’ energetic harmonica interjections. There’s room for everyone, as the players step in with their parts, then step out of the picture, like real pros. “Cry Mercy” is a rocking delta rock tune, with Glickenhaus cranking out dobro, and electric guitars against Anderson’s skittering fiddle. The rhythm section of drummer Jeremy Kaplan and Romanian-born bassist Tibi Botocan, provide the steam for this fast moving riverboat of a song. “Old Gal” is another cover, cut out of Steve Goodman/Paul Seibel (whose “Louise” was a hit for Leo Kottke, among many others) cloth: bluesy folk, with a sentimental heart beating beneath sometimes cynical lyrics. Well done. Glickenhaus’ instrumental “Sunset Highway” is held down by his banjo, mandolin and electric guitar forays and Anderson’s vigorous violin, while Kaplan and Botocan faithfully lay the foundation. The title track is a Deadish number, along the lines of “Me & My Uncle” or “Friend Of The Devil.” Demarinis’ harp adds nice texture to the track, as well. Demarinis shares the songwriting credit with Glickenhaus on “Live Here,” whose arrangement resembles an acoustic version of Neil Young’s “Cowgirl In The Sand” and the Outlaws’ “Green Grass And High Tides.” Demarinis’ vocals are especially reminiscent of the Outlaws’ Hughie Thomasson. Demarinis also had a hand in the writing of the bluesy “Get Me Home.” His forcefully hoarse vocals lend colorful animation to song. The magnum opus of the set, the seven-plus minute “Sandstorm,” touches on many bases, featuring Glickenhaus’ middle-eastern flavored mandolin and Anderson’s flutey saxophone. A couple of minutes in, the song metamorphoses into a funk bass infused Celtic river dance of a number. Glickenhaus and Anderson trade solos- before breaking into a Grisman-like combination of bluegrass and light jazz.. Quite a production, but a little disjointed. The Louisiana swamp stomp of “Bayou Saturday” brings the band back to more familiar territory. Glickenhaus continues to show his prowess on various guitars, yanking his acoustic and slapping his dobro through a series of deft and precise fret manipulations. “Flood” could pass for the work of Jerry Garcia’s former side-band Old And In The Way. A minor-key, flat-picking ramble with acoustic guitar, banjo and fiddle all playing prominent role in the production. Latin flavors spice up the instrumental “”Slingin’ The Texas Bull.” Glickenhaus duets with himself, playing acoustic guitar against frothy mandolin. Finally, “Concrete HWY,” written by Demarinis and Glickenhaus is a piece of country cornpone that sounds a lot like the Marshall Tucker Band in its prime. Glickenhaus’ mournful pedal steel, chirping mandolin and stout acoustic guitar and Anderson’s sonorous fiddle add solid support to Demarinis’ twangy vocal. 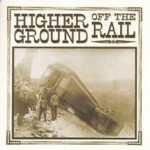 More so than ever before, Higher Ground sounds like a group of real professionals, capable of pulling off the presentation of any number of musical styles. Their two explorations of world music themes probably work well in the live format, as a display of the incredible diversity of sounds, and combinations of sounds, these guys can generate. But those departures serve more as a distraction in the recorded format- diverting attention from the band’s central strength: American folk music, in all its many different forms. Still, apart from those two aberrations (which are certainly well-executed pieces in their own right), the members of Higher Ground distinguish themselves as top-notch musicians with a real grasp of how a musical ensemble should behave. Alan Glickenhaus, especially, has grown into a true monster of all things stringed, and should be hereafter regarded as such, throughout the land. The history of the Wayward Trio in the local music scene goes back over a decade, to the early ‘90s and a funk/soul band called Soul Patch, where guitarist Sean Gilbert and drummer Michael Partlow honed their chops. The two later went their separate ways to each participate in numerous bands over the years. The peripatetic Partlow has been especially high-profile, ever in demand for his sensitive and unique drum interpretations. Here, along with talented bassist Paul Stewart, the three explore a complex jazz/rock hybrid, creating instrumental music that is sort of out of the ordinary and not easily pigeon-holed into specific genre or styles. Gilbert’s guitar work at times calls to mind that of some of the jazz legends, such as Herb Ellis, Al DiMeola and John McGlaughlin; mystical elements akin to Bill Frissell, a blues/rock attitude like that of Walter Becker with Steely Dan, combined with an r&b swagger reminiscent of Steve Cropper of Booker T & the MGs. In fact, many times throughout this album the band sounds like the MGs without Booker T. This ten song musical gumbo is comprised of enough meat to serve as a complete meal, without being too filling. No bloat here. Stewart’s walking bassline is at a dead run on “Not Just Friends,” over which Gilbert layers some tasty jazz phrases, combining delectable chord clusters with a variety of single note presentations for a moody nocturne. Partlow’s drumwork is substantial, yet unobtrusive. “Nudnick” plays off of a blues shuffle, before launching into some bebop textures in the extended guitar solo. A mild Latin ambience, replete with flickering castanets, hovers around the smoky “Bad Hair Day.” Gilbert plays it straight until the whacked out little turn veers off from the norm. Some beautiful comping in the bridge, is especially noteworthy. “The Bottom Line” is another bluesy number, vaguely similar to Cooley and Davenport’s familiar gem “Fever” (made famous by Peggy Lee). A moody pastiche, in the vein Talk Talk explored in their latter stages, “Memory Book” lurches upon a simple little chord change; allowing Stewart the room for an extended Jaco Pastorius-like solo in the middle. “Ba-dat! !” is another tune that straddles the blues/jazz fence, using a blues framework to express jazz informed ideas. Employing a bit of the funk, “Vice Squad” jumps from Gilbert’s nasty funk rhythm guitar, into multiple-note runs in tandem with Stewart. From there, Gilbert launches into a series of smoldering solos. “The Witch” recapitulates much of the same ground traversed in “Memory Book.” Stewart’s “Too Shy To Say,” a gentle contrapuntal waltz, features a delicate melody and probably the most formal arrangement among the bunch. Stewart’s Mingus-tinged solo, is nicely supported by Gilbert, with his subtle underplay and artful solo. 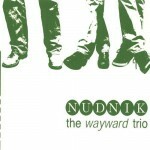 Whatever you might expect from The Wayward Trio, they are not what you might expect. They are too accessible to be jazz, because they are not obscure enough to be free jazz and not flaccid enough to be smooth jazz. The band seems most comfortable in the blues idiom- with extreme jazz inferences. What would really top this group off would be a sax player and/or an organist of a similar bent, with whom Gilbert could duet and exchange ideas. Short of that The Wayward Trio are an entertaining troupe on their own: out of the ordinary and hard to pin down. Not for the faint of heart or those with no spirit of adventure. Still, this is an imaginative group who have a lot to offer the astute listener. 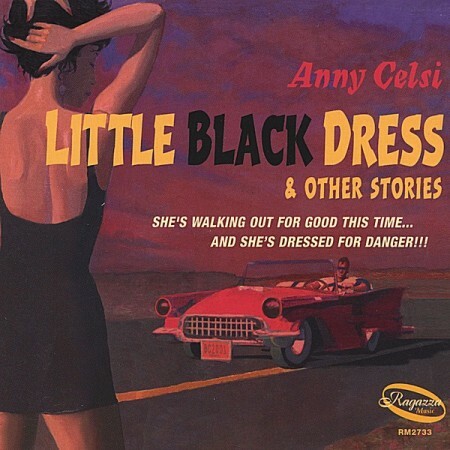 It’s been about twenty years that have passed since young actress/musician Anny Celsi moved from Portland to Los Angeles with her then-new husband Duane Jarvis (Odds, Map Of France) to seek fame and fortune. While the marriage did not last long; with Duane eventually pulling up stakes to move to Nashville, Anny stayed the course, eventually seeking to make a name for herself as a performer and songwriter. In the ‘90s Celsi was associated with the pop band the Tearjerkers, as well as her own vehicle, Annyland- obtaining critical praise for both ventures, though perhaps not the hoped for public response. Still, despite numerous setbacks, she persevered, spending several years to record this, her first solo project. With the help of several long time industry friends- including, Duane’s brother, drummer Kevin Jarvis (Johnny & The Distractions, the Riflebirds), who co-produced and played on this album; multi-instrumentalist Marvin Etzioni (former Lone Justice), who was briefly involved with the Riflebirds in the mid-’80s, before their eventual demise; and guitarist Steve Barton, who was the impetus behind the great Bay area ‘80s new wave band Translator- Celsi cuts through a baker’s dozen original songs, ostensibly inspired by Raymond Chandler/Mickey Spillane style (though the lead track, “T’was Her Hunger Brought Me Down” was supposedly inspired by Theodore Dreiser’s Sister Carrie) detective stories. Each “reference quote,” selected for nearly every song, refers to the off-handed, cynical literary style made famous by the detective novelists of the mid- 20th century. While it is not clear exactly from where these “reference quotes” are derived, nor who wrote them, Celsi’s “story” songs do reflect a certain literary bent. Think of Victoria Williams, Aimee Mann, Suzanne Vega and Sheryl Crow mixed together and you begin to get the picture. Anny is pretty much their equal as a songwriter. However, here, her rather thin voice, somewhat similar to Margo Timmins of Cowboy Junkies, sometimes suffers from poor intonation, which occasionally lessens the impact of her well-written, well-played songs. Despite this, Celsi has a sultry, intimate quality to her voice that works well for her in the context of her songs (she wrote twelve of the thirteen, with Barton providing the other number). It just seems, on occasion, that someone else might do a better version of some of her songs than she could. The title track is an Etzioni produced piece, whose arrangement recalls Marshall Crenshaw, but whose subject matter recalls Sandi Shaw (“Always Something There To Remind Me”) from the ‘60s, with a little Aimee Mann and Chrissie Hynde thrown in. “Summer Fling” sounds as if it were extracted wholesale from the ‘60s, as if Mary Wells had cut an unknown hit that was only now coming to the fore. The spittin’ image of Aimee Mann, down to her shuffling cadence and wry insights, “It Hurts/My Heart/To Hear/Your Voice” lacks a strong enough chorus to put it over the top, but is a winsome broken love song, all the same. “All I’m Gonna Say” walks down noirishly dark alleys, with Carl Byron’s roiling piano fills and Barton’s simmeringly psychedelic wah-wah guitar. Strong imagery and a brassy harmonica propel “Empty Hangers” whose powerful verses fail to lead to a melodically satisfying chorus. Still, Anny’s lyrics are intriguing “Every girl deserves a nervous breakdown/Don’t ya think she’s got what it takes/Would you listen if she told you/She was just about to fold from holding that basket of snakes,” in the verses, “She hides a heart as soft as motel soap/She glides with hands as rough as hangman’s rope/She slides a little further down the slope,” in the chorus. Not one of her stronger songs, “Can’t Win ‘Em All” is a simple, Lisa Loeb sort of view of life, full of Sears catalog images and television commercial emotions. Anny’s reedy harmonica returns on “He’s Always Looking At The Sky,” leading to some fine interplay with Robert Lloyd on accordion, to create a sort of cabaret number, filled with sarcasm about an “important man.” Dylanesque. Chrissie Hynde comes to mind again on the sizzling “Wicked Little Heart,” as does Julie London (if she were singing in the late 20th and early 21st century), a song about love and treachery and the tangled webs we weave. The story line to the pretty waltz “Shut Out The Shine” nearly sounds like a scene out of Sunset Boulevard. “Call down to room service, tell ‘em I’m sad/I want some oranges, I want ‘em bad/Sure you’ve been travelin’ longer than me/Distance is something you no longer see.” A wistful, pretty song. 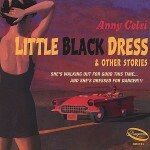 Anny Celsi is obviously a very talented woman, with a writer’s eye for detail; and a wit honed from the better part of brevity. Her songs have distinct lives of their own, which dwell independent of each of their counterparts on this album, yet they proceed like a book of short stories. Obviously, this was her goal in the first place. Without a doubt, she has succeeded handsomely in her intentions.